In today's busy life it is very tough for every person to maintain a good diet and even young consumers hardly find time for traditional cooking due to their busy lifestyles, It is even hard for them to get time to eat food and due to their odd timings they find it difficult to eat, due to which majority of the population are affected with different kind of health problems. 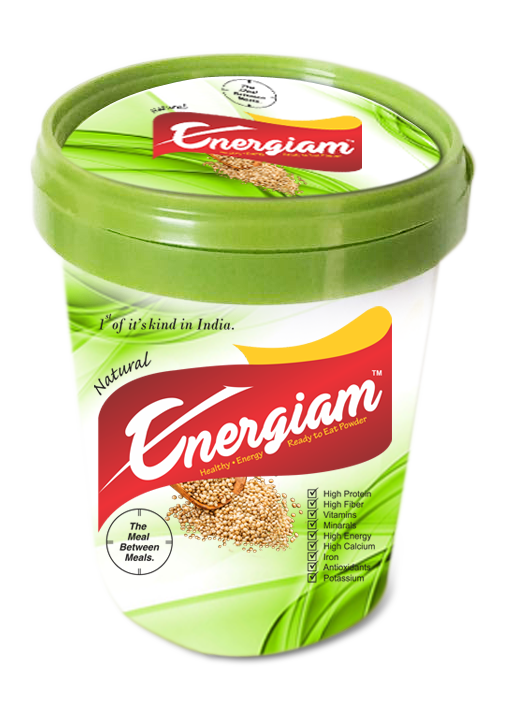 MSR INDIA LIMITED with a keen vision to enhance the heath of individuals has come up with an innovative food product "ENERGIAM", Energiam is a ready to eat powder, which contains the necessary proteins and vitamins. 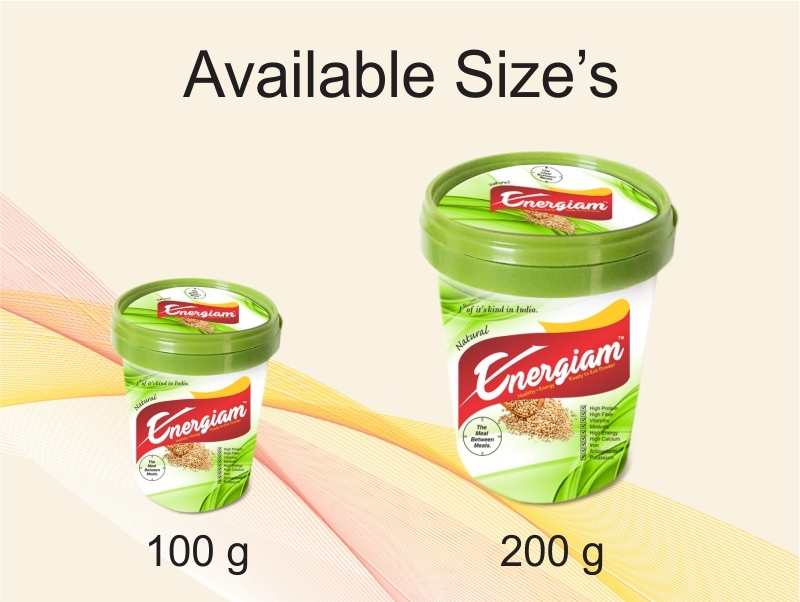 This powder is packed in an easy to carry container, which can be carried anywhere and can be taken during different intervals in a day to cover up the delay in having food. This helps everyone to maintain their diet even in tight schedules. This product is 100% natural and does not contain any added flavors or chemicals. WHEN AND HOW TO USE POWDER? The USP of this product is it can be used as a Meal between Meals or as an Alternative to Meals. The powder tastes very good and can be easily digested. There is no daily specific limit for consumption; it can be taken to satisfy ones hunger buds. Note: There is no need to add Water or Milk to the mixture, it can be consumed directly. Copyright 2016 MSR India - All rights reserved.